Deadpool is a fictional character, this Deadpool is no gloves, no mask, no feet. 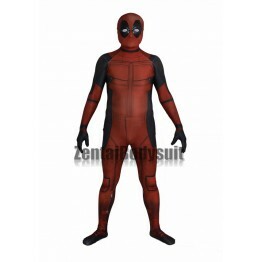 All Zentai suit is..
Deadpool is a fictional character, he is made of pink and black and red spandex fabric. ..
All Zentai suit is available for men, woman and kids. All hoods can be purchased separately Custom..